Educate Tanzania » Come Run With Us! We love our friends and want to spend Sunday morning August 9th walking or running around Staring Lake with you. 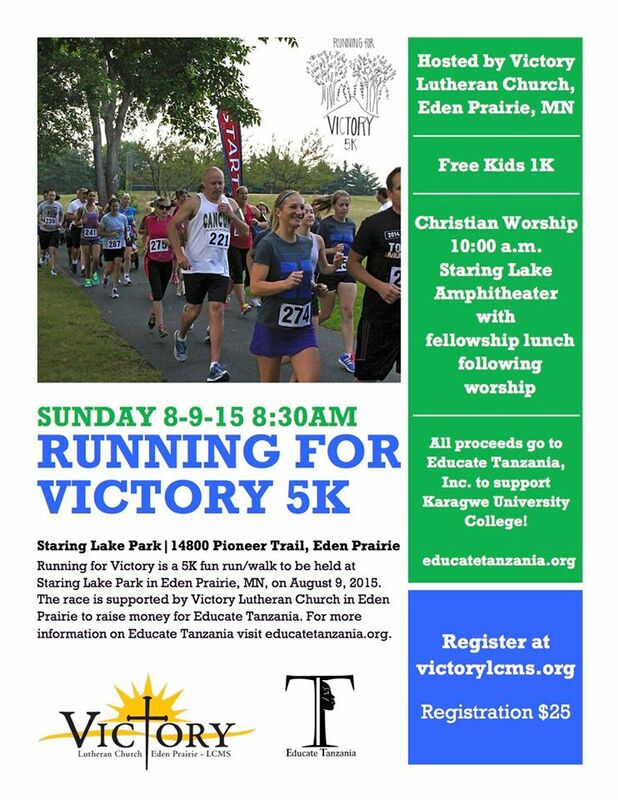 It’s Victory Lutheran Church’s Annual “Running for Victory 5K Run/Walk” and they are donating all proceeds to Educate Tanzania. Come join us!